Make this pretty faux floral and lollipop gift for your Valentine or tailor it for other occasions as well. 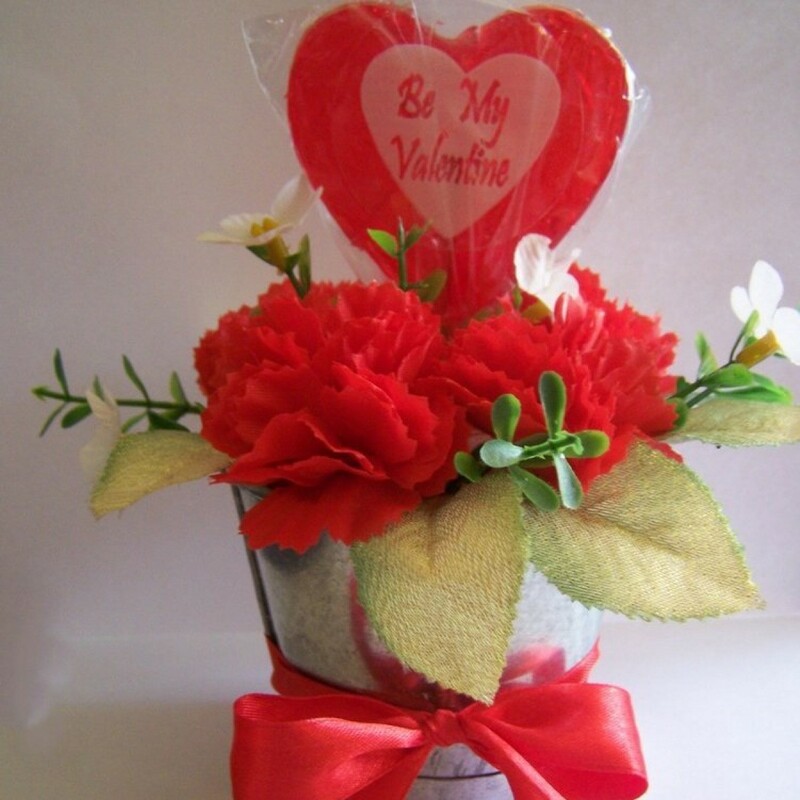 Learn how to make a, "Be My Valentine" floral gift. 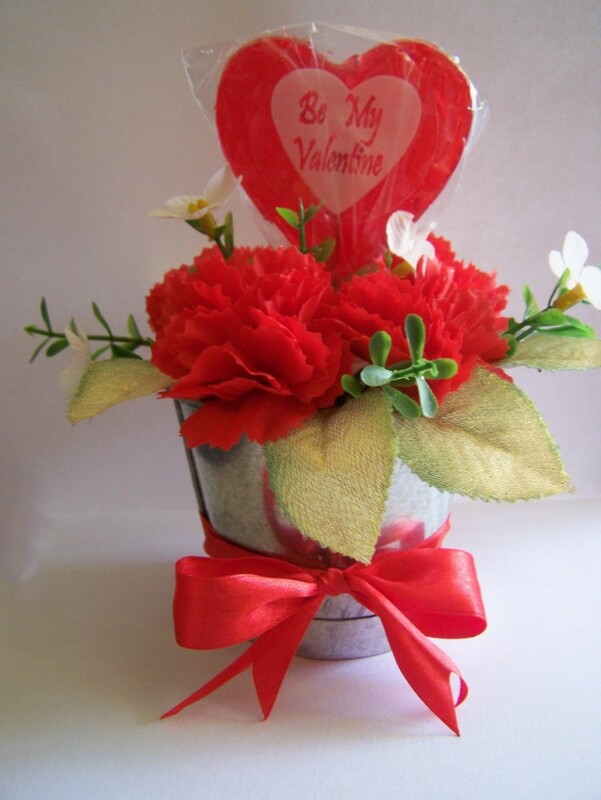 Make this cute little gift for your Valentine and sweep him off his feet this year! It can easily be cut and wedged into a container. Turn the mini tin bucket upside down and gently push the top of the bucket into the Styrofoam block, so that you will have left an imprint on the block. Use the knife and cut the Styrofoam block to the correct size, so that it will fit snugly into the mini bucket. You will have to cut the foam at a slant, to make provision for the fact that the bucket gets narrower towards the bottom. Do not cut away too much at once; cut a few small pieces away, measure it to the bucket and keep on cutting and measuring until the foam fits into the bucket. Note: The Styrofoam is very messy, so work in an area that will be easy to clean. 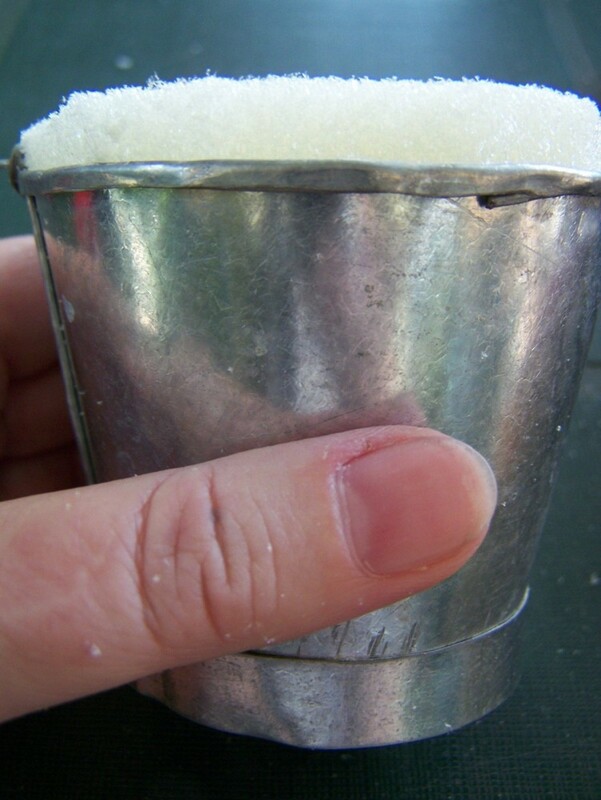 Once it fits snugly into the bucket, use the knife to cut the foam level with the rim of the bucket. If necessary, shorten the stick of the lollipop. Then, stick the lollipop into the middle of the foam in the bucket. 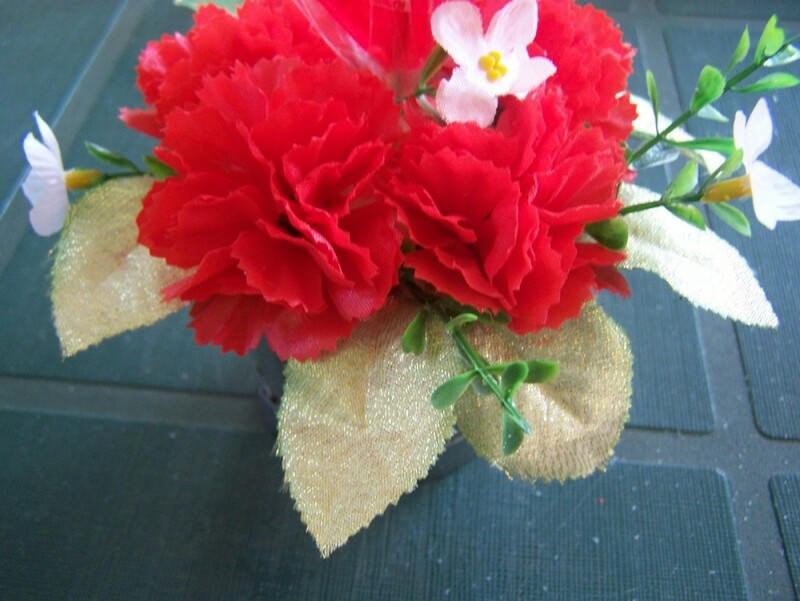 Cut the stems of the carnations shorter with the pair of pliers. Decide how to arrange them around the lollipop and stick them in place in the foam. Add a few leaves and smaller silk flowers to finish the arrangement. 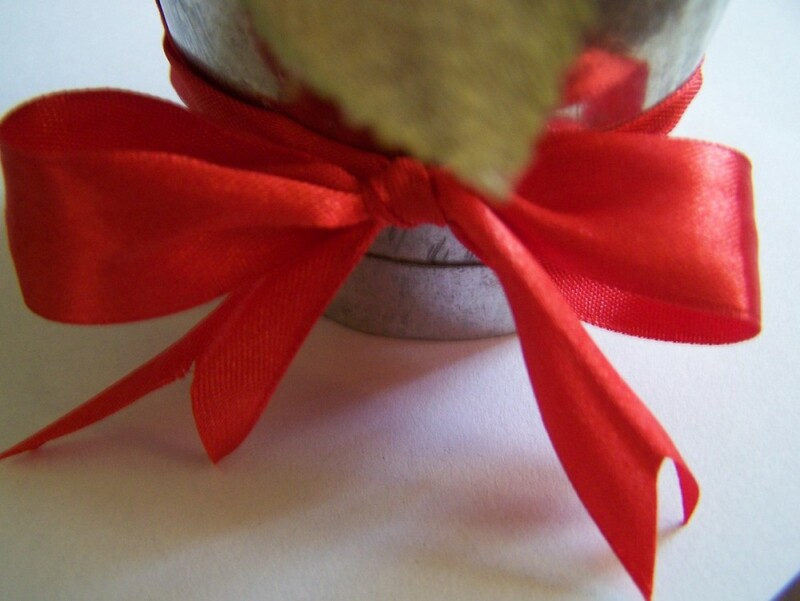 Tie the ribbon around the bottom of the tin and make a small bow. Photo 1: Cut the Styrofoam block to the correct size, so that it will fit snugly into the mini bucket. 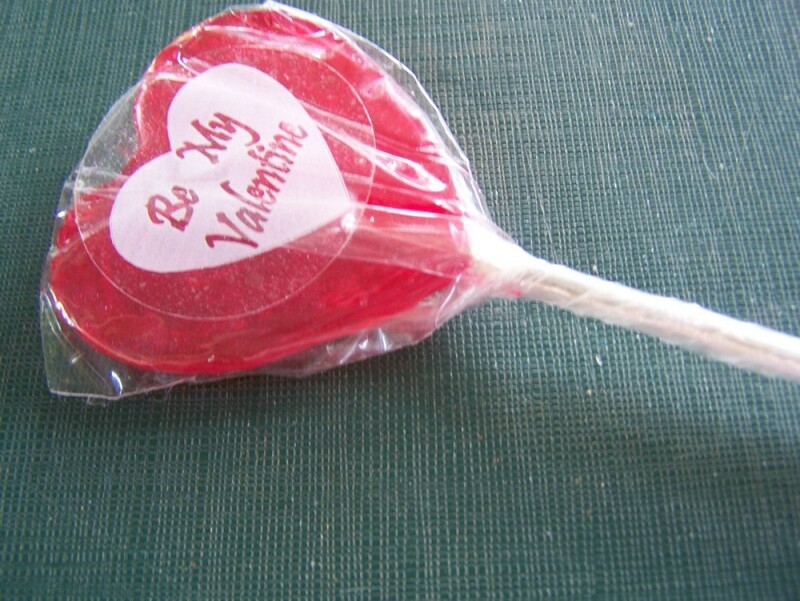 Photo 2: If necessary, shorten the stick of the lollipop. 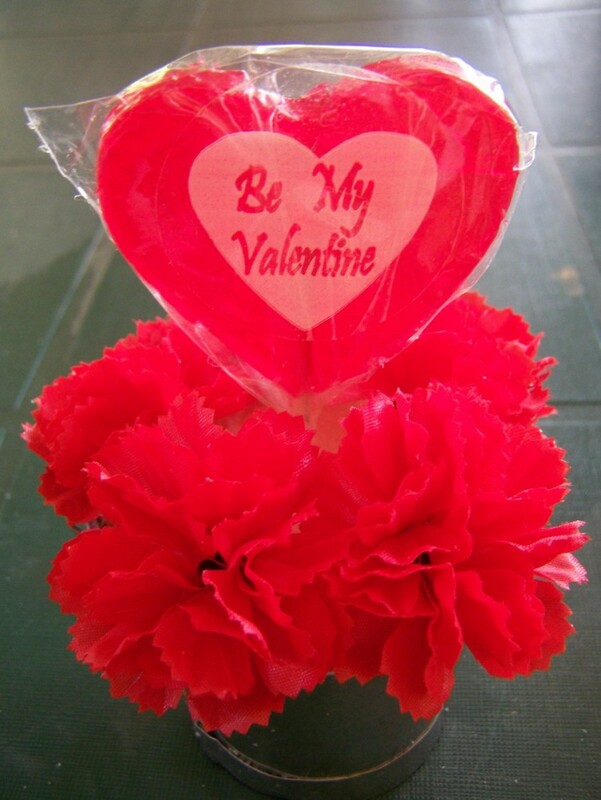 Photo 3: Arrange the carnations around the lollipop. Photo 4: Add a few leaves and smaller silk flowers to finish the arrangement. Photo 5: Tie the ribbon around the bottom of the tin and make a small bow. Photo 6: The completed gift.